For great nights entertainment and fun night out, SCC are going to The Comedy Club. 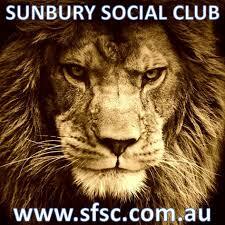 This function is open to all members of Sunbury Cricket Club including parents of Junior players. There are only a limited number of seats available so get in quick. No need to worry about who is going to drive, just jump on the bus, sit back and a let one of our sponsors Sunbury Coaches take us in comfort. The evening consists of 3 comedy acts and a 3 coarse meal. This is an adult entertainment night so you must be over 18 years of age to attend. So pass the word around and make sure to put your name down early to book your seat!